LAS VEGAS – In 2012 when he joined the cast of a Broadway musical, Julian DeGuzman didn’t have a blueprint for success, or even a role model to base his career upon. Even though the dancer he “inherited” his role from was a friend and a Filipino-American like him, essentially, he was blazing a trail, a talent from an “invisible community,” hoping to break long-held stereotypes. Now, three short years later, he has become a Broadway veteran and mainstay of a Disney musical whose success had surpassed expectations. 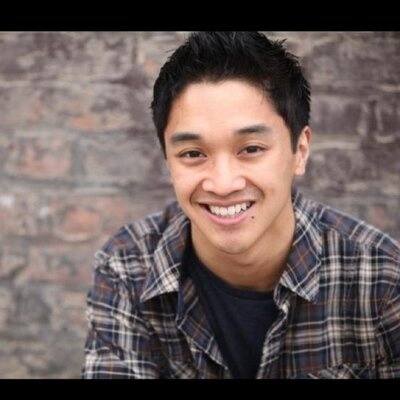 DeGuzman is a cast member of Newsies, playing the roles of Finch in a rousing production adapted from a 1992 film, which in turn, was based on the true story of newsboys disrupting New York with a strike in 1899. From Dallas, the show will move to San Antonio for a May 12-17 date and Houston for a week, May 19-24. From there, it will go to Nashville, TN, May 26-31and on to Durham, NC, June 2-7. A member of the cast since March 2012, DeGuzman’s stint was highlighted by two years in Broadway, where his role, included that of a swing, in which he has to perform 14 characters, often getting the call at a moment’s notice. Awarded the Tony Award for Best Score and Best choreography in 2012, the musical featured the melodies of Alan Menken, whose work included scores for The Little Mermaid, Beauty and the Beast and Alladin, and the lyrics of Jack Feldeman. “The choreography drives the show and the story,” said DeGuzman, who dances as member of an ensemble, which is the heart of the show. Choreographer Christopher Gattelli has herded together 20 boys to dance a thrilling combination of ballet spiced with bold athletic moves..
DeGuzman said the choreography showcases his talents as a dancer, honed by years of practice, which started when he was just four years old. DeGuzman, now 28, was the object of scorn by his friends, who could not understand why he could not join them in baseball or other sport, and instead practice ballet and other dances. In high school, the taunts and bullying started to die down as he showed his skills. “They ask me what I do, and I told them I dance, and they say, ‘cool,” who nevertheless graduated with a double major in sociology and fine arts architecture from the University of California – Irvine. A native of Alameda, California, DeGuzman said he will stay with the dancing career for a while longer, even though the tug-of-war between academics and arts is also likely to continue. 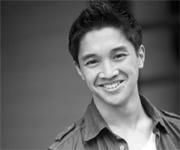 His sister Robyn is also a dancer and actress, and teaches dance in New York’s Chinatown. His mother,a native of Borongan City, Eastern Samar, is a medical doctor and his father is an architect, aside from being the first dancer in the family. The original Finch in the Newsies show was his friend Aaron J. Urbano, who is now a member of the cast of the King & I.
Filipino-Americans credit Lea Salonga for opening doors for Asian- Americans in her role as Kim in the franchise “Miss Saigon” show, Les Miserables and Alladin. But you can count in the fingers of one hand male actors or dancer who have found acclaim in Broadway as the community continue to focus more on academics than arts and entertainment. DeGuzman said he has no regrets for the choices he made, but missing holidays, weddings, birthdays, and other family gatherings were the toughest. “I guess you have to give up something for your dreams,” DeGuzman said.